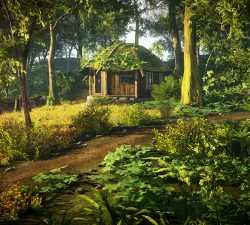 Eastshade is an island full of rich wonders and mysteries as you travel while painting the beauty you come across. 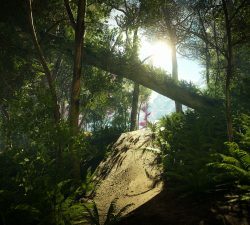 Although the world of Eastshade is still in development, Eastshade Studios took a break and gave us Leaving Lyndow, a small peaceful journey set in the Eastshade world. 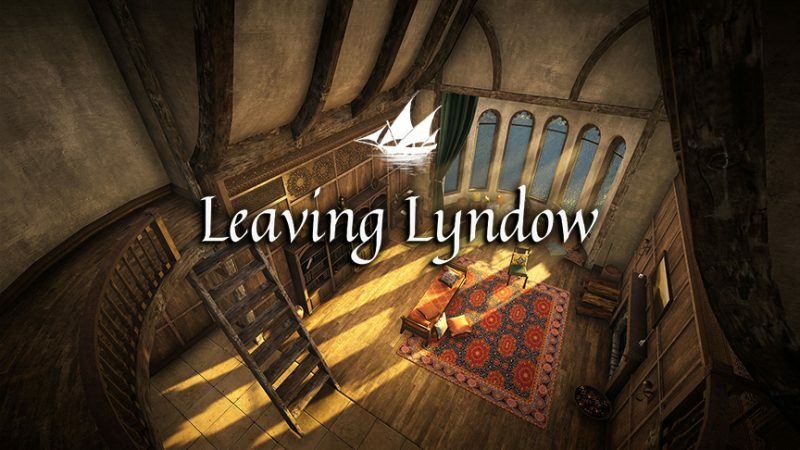 In Leaving Lyndow, you play as Clara as she prepares for an epic journey. 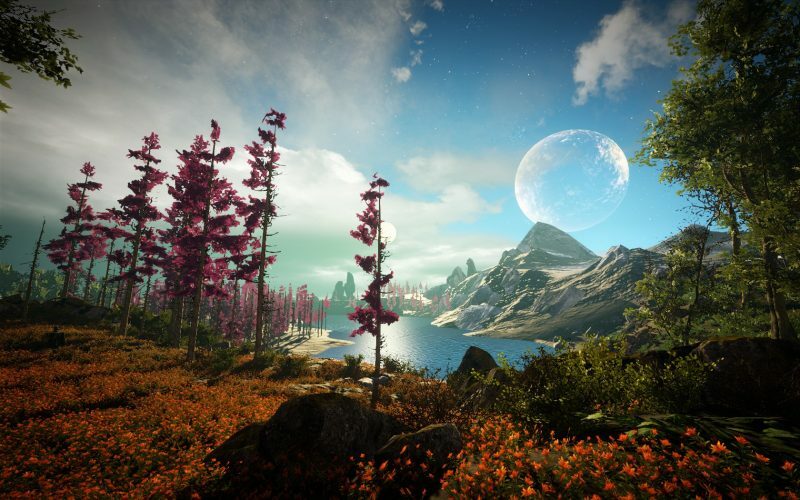 Leaving Lyndow is meant to be a prequel or lead into Eastshade, but the game itself sadly falls short of expectations. Eastshade Studios’ idea behind Leaving Lyndow is to provide an experience that allows the player to experience the world of Eastshade. The experience with Leaving Lyndow is rather short, to the point that it can be completed in less than an hour. In that time frame you wander the city, gather a few supplies and talk to people before you leave on the journey. The journey is stated to be a dangerous one, but once you reach the boat, that’s it. There are a things to do but overall the game falls flat. 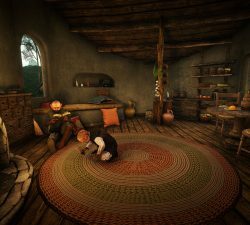 Rather than set up the tone or experience to expect in Eastshade, Leaving Lyndow instead offers a small trip that ends up feeling pointless once completed. Overall, Leaving Lyndow is a beautiful game. The fact that it’s short with no real gameplay makes this decision an odd one. 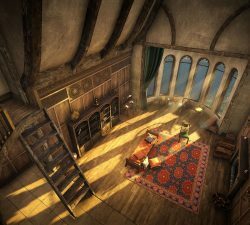 Eastshade Studios could have instead offered some back story or insight regarding Eastshade, which looks to be an intriguing experience. As a travelling painter you recreate the lush landscape into paintings that yield clues and items to further the journey. In Leaving Lyndow you grab some items, say goodbye to some friends and family, drink tea, throw a ball on a post and board a boat. That’s it. 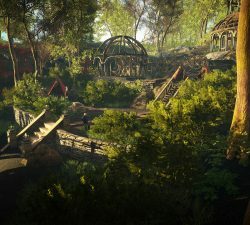 How it connects to Eastshade is yet to be seen but one thing is certain, Leaving Lyndow does not build any excitement for Eastshade.